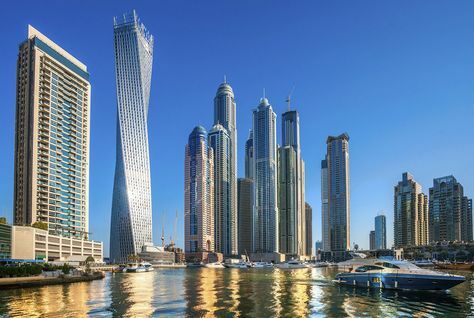 Dubai: Emirati investors put in Dh14.52 billion worth of property investments (from 4,543 deals) in Dubai during the first six months, while Indians and British nationals retained the largest share of foreign-led deals with Dh7 billion (3,656 deals) and Dh4 billion (2,010 deals) respectively. Pakistani investors had the third highest share among foreign investors with Dh3 billion (2,073 deals), according to the latest numbers from Dubai Land Department. In all, foreign investors picked up Dh28 billion worth of properties during the period, while Gulf citizens — including Emirati investors — added another Dh22 billion. Saudi nationals’ share of the overall deal flow was Dh4 billion (from 1,946 deals). Other Arab nationals added a further Dh7 billion, with 7,577 investments. (Jordanian investors were ranked first, with more than Dh1.5 billion, followed by Egyptians (Dh1.37 billion) and the Lebanese with Dh1 billion.) “The Dubai real estate market managed to maintain its robust appeal and is now emerging as one of the foremost property investment destinations in the world, bolstered by the decline in some regional economies and serious challenges faced by other countries around the globe,” said Sultan Butti Bin Merjen, Director-General of the Land Department. This will be the theme that Dubai’s developers will be harking on when the busy season starts in September and they renew their efforts to pull in buyers. In their marketing spiel, they will also be trying to get a competitive advantage from the London property market’s woes in a post-Brexit world. A win for them would be if UAE and other investors decide to park their investments locally rather take them outside. A lot will then depend on the dollar’s level. “For the USD to strengthen, other currencies must weaken, which reduces the cost of assets in those foreign markets,” said Jesse Downs, Managing Director of the consultancy Phidar Advisory. “This encourages opportunistic investment — assuming the weakening of the currency is not associated with an increase in risk not captured in the return. “The result: an incentive for foreign capital outflows from Dubai. But there are the many who remain optimistic about a healthy — or at least, stable — showing during the second-half of the year. Market sources say the coming months should see developers make a determined bid to push luxury property back onto investors’ radar. The weak buyer sentiments over nearly two years had led to a drastic drop in projects where unit prices were north of Dh5 million. Most impacted were projects involving villa launches.